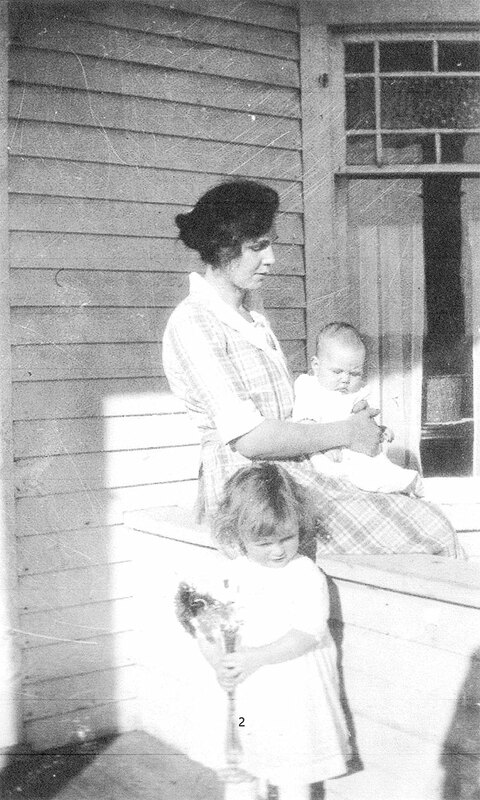 Margaret (Peggy) Martin was born March 21, 1920 to George and Marion (McNaught) Martin at Lake Saskatoon, AB. Her father was a banker and they moved around to Delia, Monitor and Edmonton where she completed her high school and also attended Normal School to become a teacher. 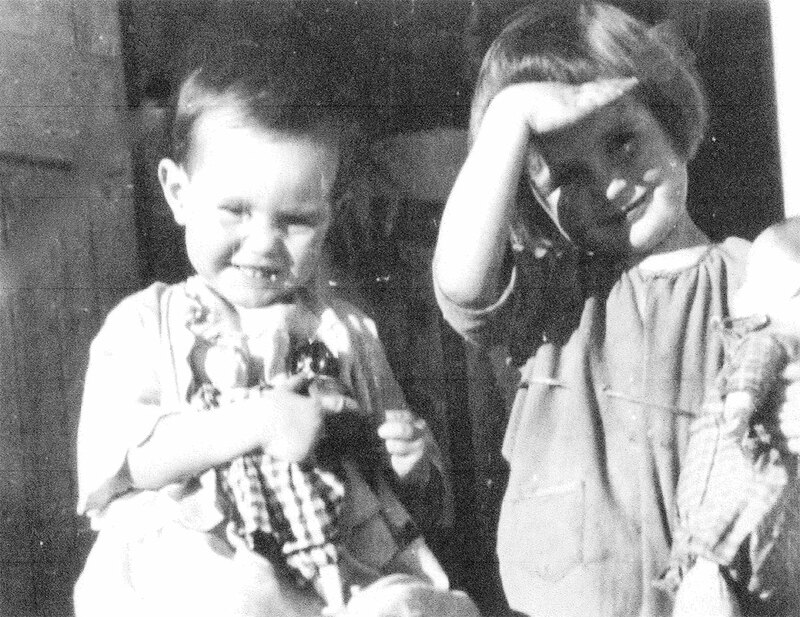 Peggy always returned "home" to her grandparents farm for the summers. 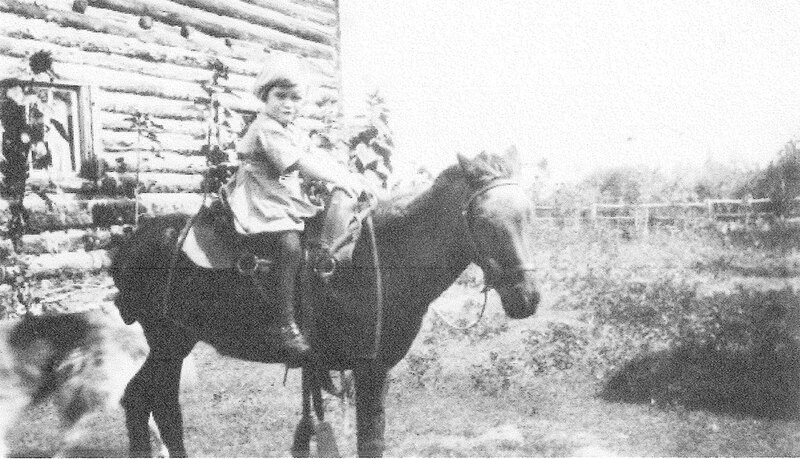 She and her sister Janet rode horses, picked berries, explored and aquired art skills under the supervision of their aunts Betty, Margaret, Isabel as well as Uncle John. Some people went to cottages on the lake for their holidays but she went to the farm! 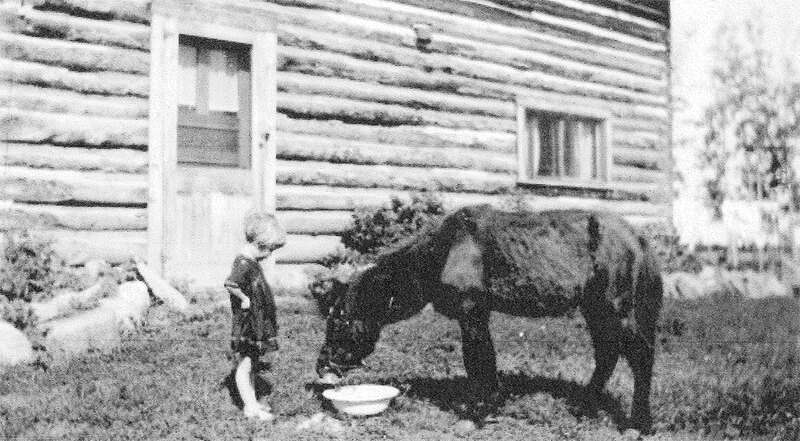 Peggy with her horse "Puck"
Upon completion of her teaching certificate, Peggy returned to the area and taught school at Rio Grande and Gimle. She met and was smitten by Sam Martin and they would marry on Sept 9, 1943 while Sam was home on ambercation leave during WWII. 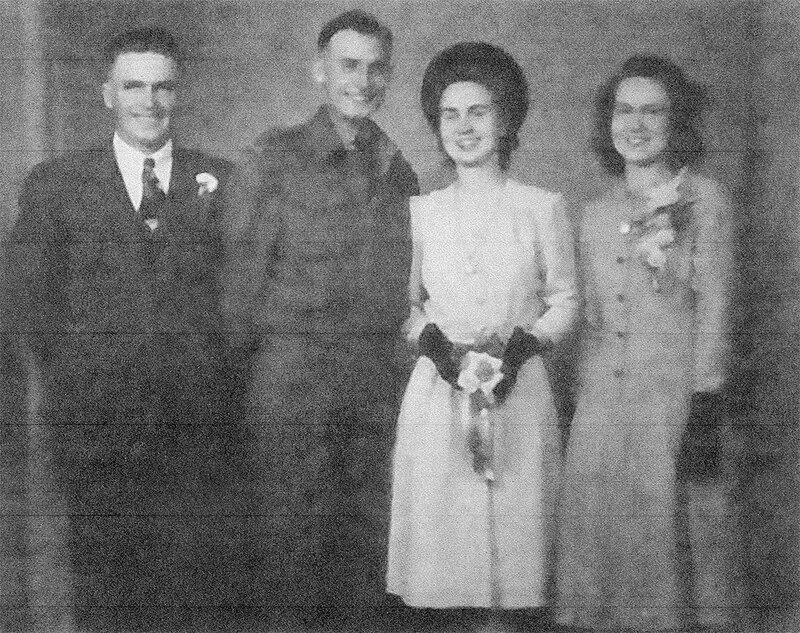 Their oldest son Geordie was born in Edmonton on June 6, 1944 while Sam was still overseas. Peggy remained there with her parents until Sams return. 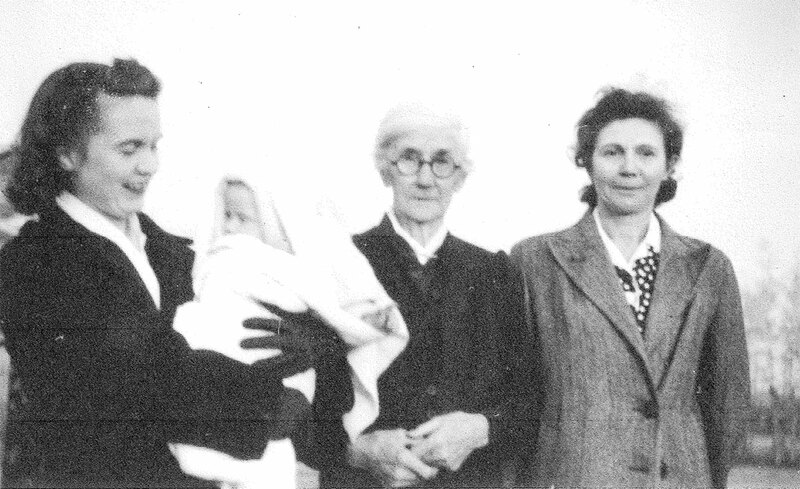 After the loss of infant twins, Sam and Peggy added sons Peter, James and Douglas followed by daughters Janet and Sarah. 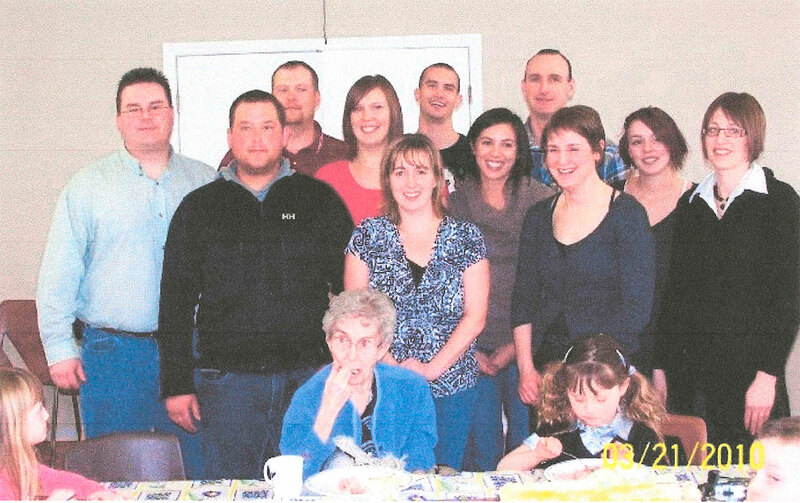 Peggy taught school in Beaverlodge until her retirement. She attained her teaching degree one course at a time while she raised her family and worked. She was also an avid member of St. Lukes ACW, Willowlodge I.O.D.E, Legion Aux. and the Beaverlodge Art Club. She taught art at the high school and also evening classes for adults. Batik became her favourite medium adn upon entry of her home you would be greated by the aroma of parafin wax and a kitchen table suffocated in rice paper, die and wax. The sunflower batik was her signature and they hang in many Beaverlodge homes. Her grandchildren loved to go and "batik" with her. Peggy did not like to copy her art from photographs and preferred to draw her own. Her sketch pad was always in her car or picnic bag. 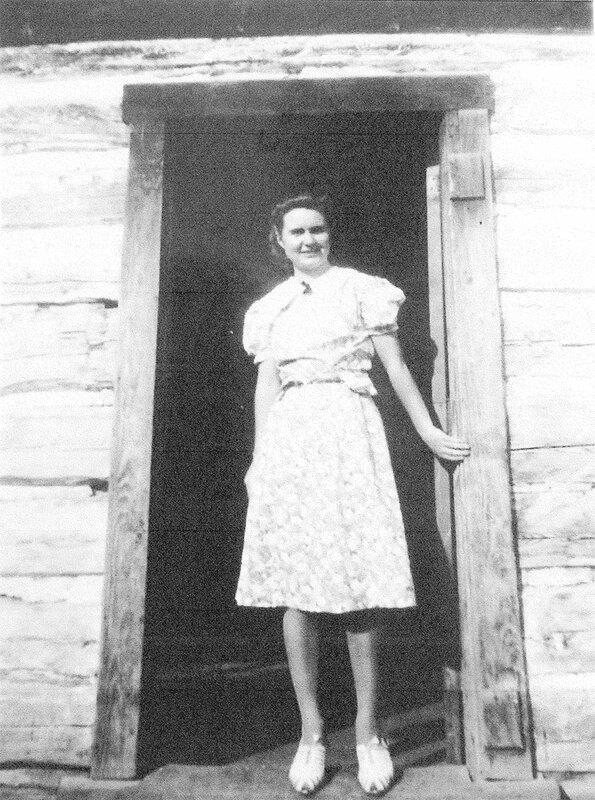 A highlight in her later years was the formation of the McNaught Homestead Society. The preservation of a place so important to her childhood and family, a place for artists to go, a place for children and families to experience what life was like on homesteads. Here she experienced first hand the I.O.D.E Strawberry Teas and Ghost Walk. 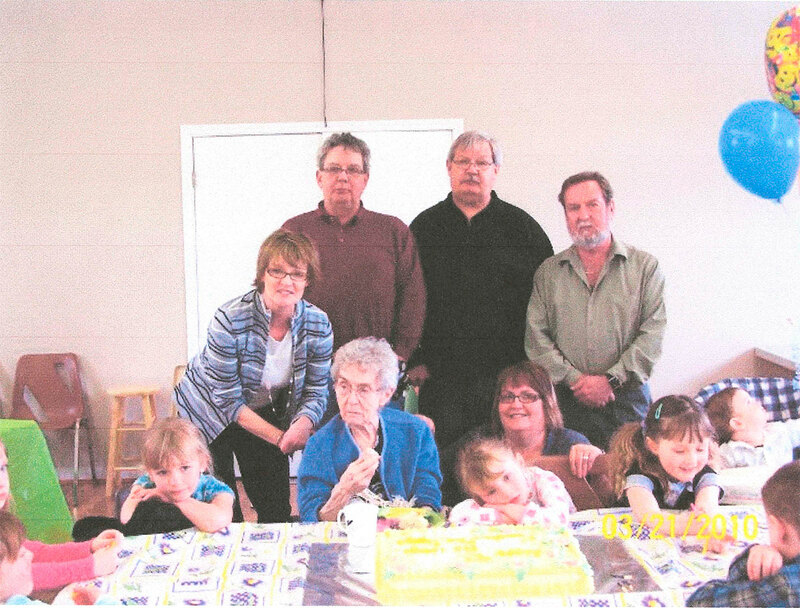 Peggy passed away on Sept. 13, 2010 at the Hythe Continuing Care Centre.